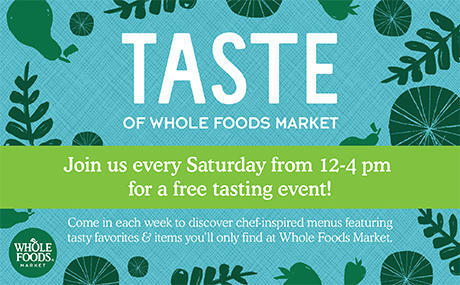 Join us every Saturday for a special tasting! Taste your way around the store and find your new favorite thing. These Chef inspired menus feature our 365 Everyday Value Brand, unique finds for foodies, and take & go favorites made by us. Come in each week to discover something new!